-Keep hydrated, if in an indulgent mood perhaps with some bubbly and refreshing Perrier or San Pellegrino. -Carry an elegant pair of sunglasses that will always come in handy be it by shielding your precious eyes from the bright rays or hiding from demanding paparazzi (as so often happens to us civilians). -Cotton handkerchiefs may seem slightly old fashioned but prove a great solution for wiping away any uncomfortable sweat that might accumulate on your face and neck while out and about. Upon arriving back home simply throw it in the washing machine and hey presto, good as new. *For any fellow perfectionists out there might I recommend ironing as well to achieve that extra neat and crisp look. -Always carry a fan with you in case of emergencies, this season I have a new glamorous Céline fan that has been my absolute savior. 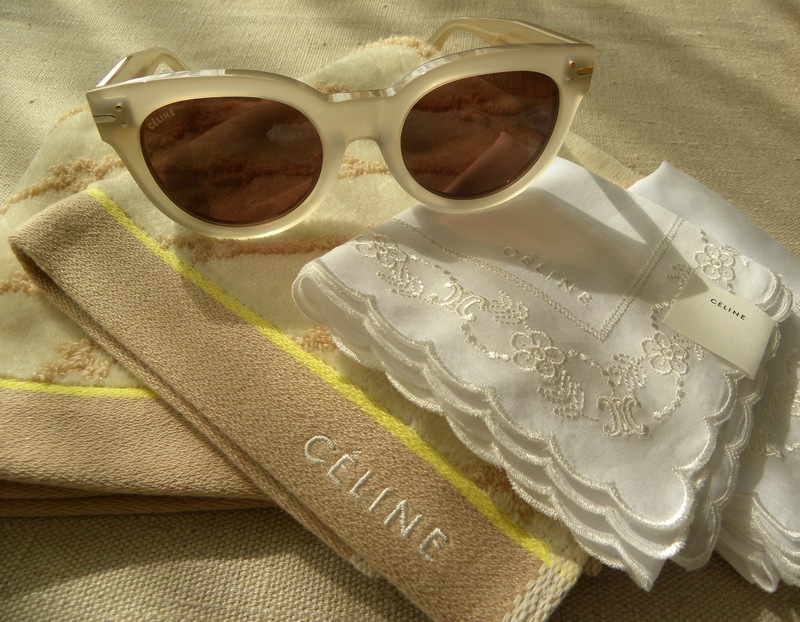 This entry was posted in Life style, Luxury, Style, Tokyo and tagged Beating the Heat, Helpful Tips, Keeping Your Cool, lifestyle, Luxury, Style, Summer, Tips, Tokyo by linneabylinneanilsson. Bookmark the permalink. BEAUTIFUL post!! Love this one, elegant, feminine and refreshing! I like to carry a fan in summer. It can help a lot. Heat makes me melt and bad tempered – just not used to it I suppose. Always envy those people who remain cool and elegant no matter the temperature. I love the sunglasses! Where are they from? Thank you. They are from Céline.